First I just want to say my mug swap partners were amazing. I was super grateful that the partner which I sent a package posted on instagram and seemed to really like what I sent, and I actually got my package from @enroute2ourrainbow the very same day! 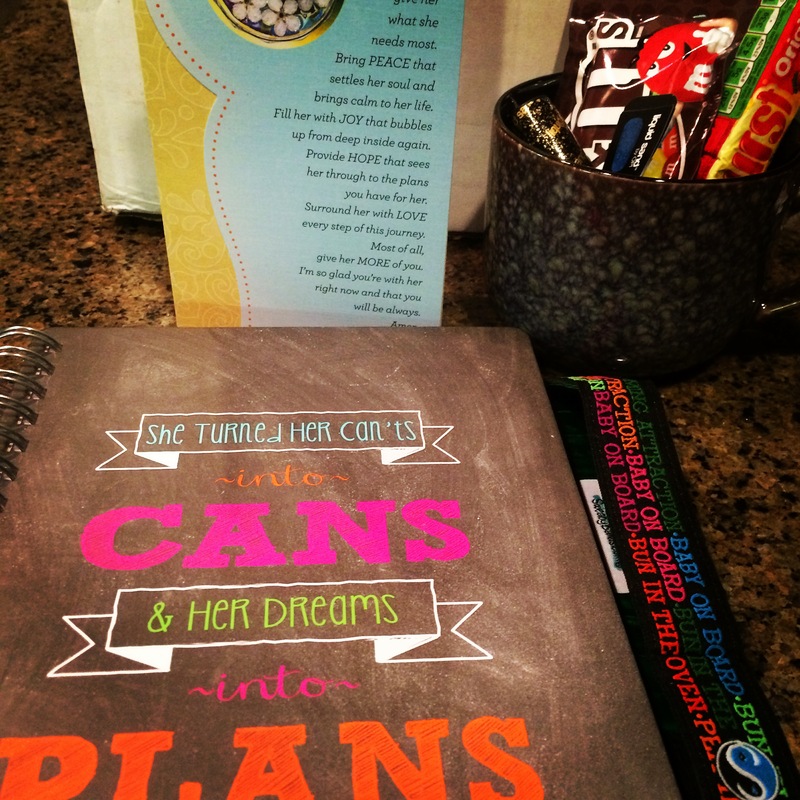 She put together such a thoughtful package of a mug (of course), some candy, nail polish, an amazing notebook, and a band that I will put in a special place until I can wear it (it has all kinds of “I’m preggo” sayings on it). Getting a package in the mail is seriously SO FUN. I am so grateful for Chelsea for setting up this swap. I am pretty excited to do another one sometime soon! I am sure it’s a lot of work for the organizer so again, thank you!